One hair-raising Halloween night, Art Shopper began to shake with fright. Someone was lurking by the door, frightening footsteps pound the porch floor. The doorbell splits the silence with a shriek, Art cautiously takes a peek. A lone box sits on the front step, Art isn't sure what to expect. Alas! This box should not scare, it's been sent with care. With a clap and hop, Art reads the sender- Museum Shop! Beautiful gifts of glass have arrived just in time, Halloween icons to decorate- how sublime! 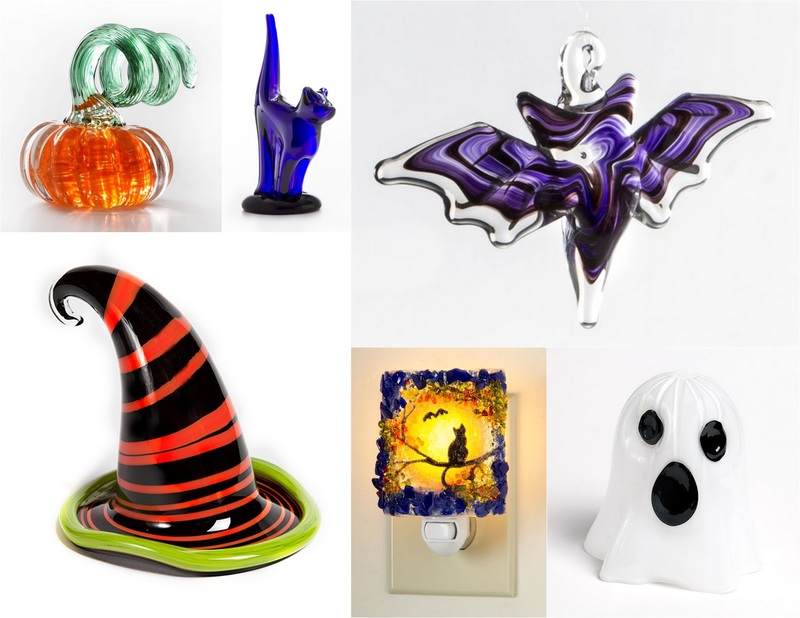 Take a cue from Art Shopper and check out our complete assortment of Halloween products. From ghosts to pumpkins, bats to black cats- we can help you celebrate spooky in style! Click here to shop the complete Halloween assortment.